Dr. Pat Bradley has professional licenses in Arkansas both as a counselor and a veterinarian. After obtaining her veterinary degree from LSU, she and her husband Fred opened a conventional private practice they named Animal House. 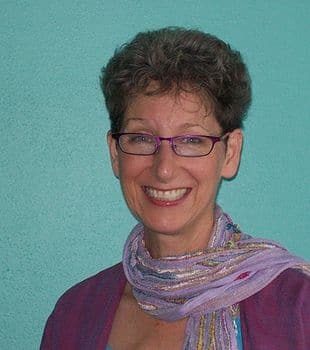 Intrigued by her clients’ stories of alternative medicine, she soon became certified as a veterinary homeopath, and has studied many other areas of holistic medicine. Dr. Pat Bradley loves to learn and explore new things, and believes that her work, her play and her spiritual life are not separable. Following the guidance of her night time dreams, she became a counselor. She has found that this training has further allowed her to help people who are dealing with difficult emotional, physical and spiritual issues, whether they are human or animal related. -Having a dream about losing your dog or dog getting sick could be about losing the part of us that a dog represents. E.g dogs are playful, smart, protective, intelligent, owner could be worried about losing those qualities. -Animals are souls and will reincarnate. -What are the best foods for dogs and cats? -Top of pet food scale is organic, grow-it-yourself, blessed, and killed humanely. Next is freeze-dried food, then good quality organic grain-free wet food, then organic grain-free kibble. -No one food that is best for all animals. Observe the animal, what they like, what happens when they eat it, if they’re excited about it. Keep checking online to see what people say about a pet food. Brands change hands frequently and their foods change. -Bless whatever food you have. Send the energy of love and gratitude to your pet. -Do dogs do better without grains? Dogs aren’t obligate carnivores, but they’ve been allergic to grains. Grains have become allergens due to GMOs and how they’re grown. Changing food can have an enormous impact on many animals. -Owners report their pet is afflicted with their own or family member’s illnesses. Animals are souls that have come back to help people, to help them with unexpressed grieving. -Lipomas are almost always benign. Only need to be surgically removed if they are impeding something. Sometimes go away with homeopathic remedies. The body puts things on the skin because it’s a non-threatening place to put toxins. -Is it healthier to not spay a female? Being intact has a vitality. Monitoring pet vital if intact. -Listener asks about her cat losing weight with smelly breath – can be teeth or could be an underlying disease process that causes wasting. -Looking on the internet for remedies. Know conditions that are dangerous, such as a cat not urinating. L-methionine is urinary acidifier, d-mannose, cranberry and Vitamin C are good for urinary tract infections, coconut oil. -Need to be careful about adding fat. Skin that is dry and flaky could benefit from supplemental oil. -Dangers to an animal of spraying 2,4-D on the grounds? Animals walk on the ground and they lick their feet. Don’t spray, or control the dogs exposure for a few days after spraying. -Some dogs vomit on an empty stomach. Is a detoxification mechanism. Activated charcoal is good. -Dangers of garlic, onion, chocolate? A little garlic can be a good idea.